Two wonderful medications, Botox and Dysport, are muscle relaxants. What are the differences between Botox and Dysport and which is best for you? Our injection specialist, Loraine Savarese, RN, has used both Botox and Dysport for many years and was there when these two medication were first introduced. Botox was used first and FDA approved and then in 2009, Dysport was introduced. Now, almost 10 years later, we can compare both. 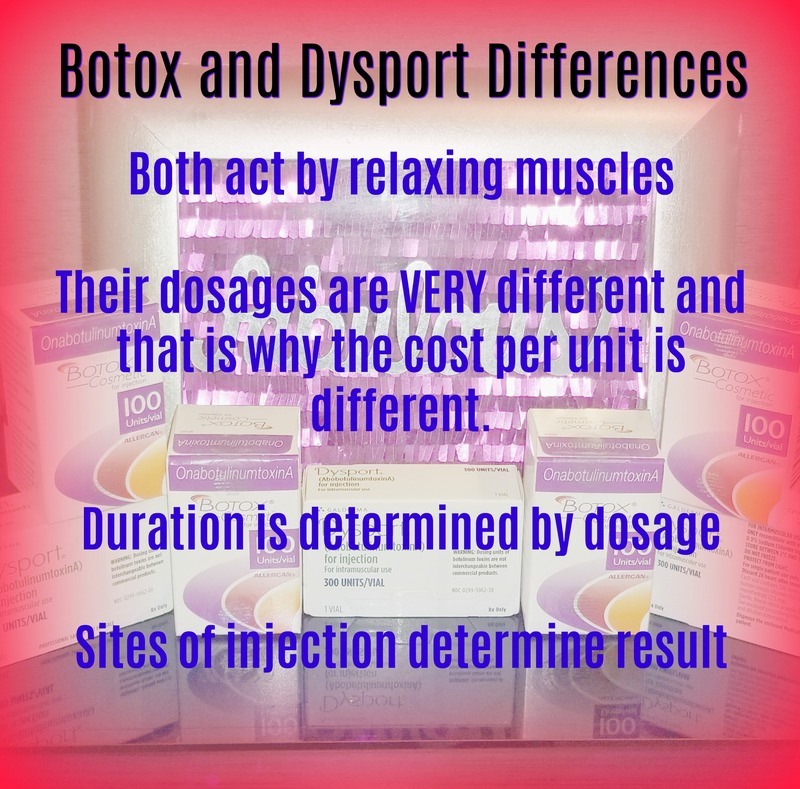 Botox and Dysport both relax muscles in the sites of injection. Dosage of Botox and Dysport are the key to how long the treatment will last. If you get baby Botox, you can expect a smaller (baby) duration. You should get the FDA approved amount for both medications so that you get the best result that lasts. Dysport can act a little sooner than Botox and is sometimes referred to as the party choice or what you would choose if you have an event right away. Both Botox and Dysport last about 4 months. 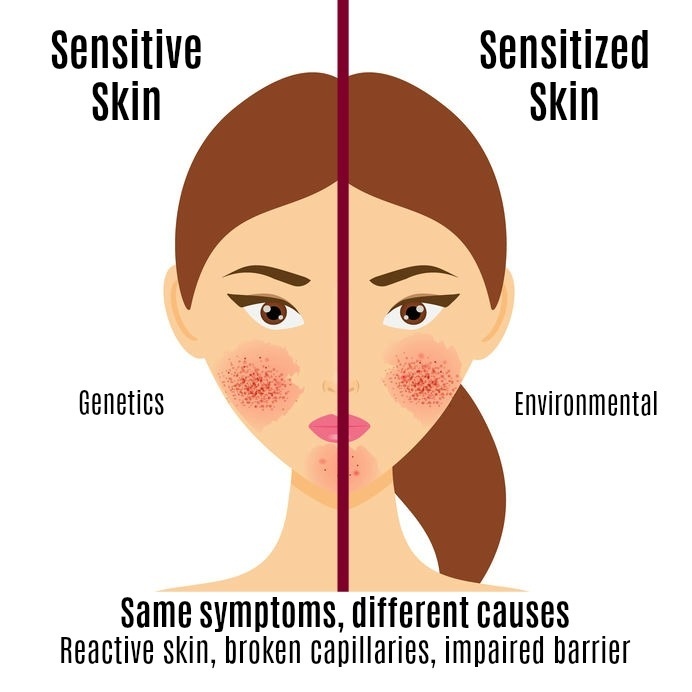 The risk factors for Botox and Dysport are the same and minimal. Dysport is less expensive per unit because you give more units of the medication. Botox is more expensive per unit but you give less units. In general, the cost comes out to be about the same. Dysport has a reward program called Aspire and Botox has a rewards program called Brilliant Distinctions. At Charmed Medispa, we manage all your points and rewards including Charmed Reward where you earn additional savings. There is no downtime with either Botox or Dysport and the only instruction is not to touch or massage the area for 4 hours after treatment. Our medical spa specializes in both Botox and Dysport as well as dermal fillers, IPL and lasers, Sculptra, skin care and skin tightening. We have all the resources you need for your goals and our staff will welcome you with open arms and introduce you to your best skin, best feeling of being refreshed and best day!